Ottoman Triad III is the third in a series of designs I created based on embroideries of the Ottoman Empire. It incorporates stylized representations of motifs common to these works, including the tulip and breath of Allah. 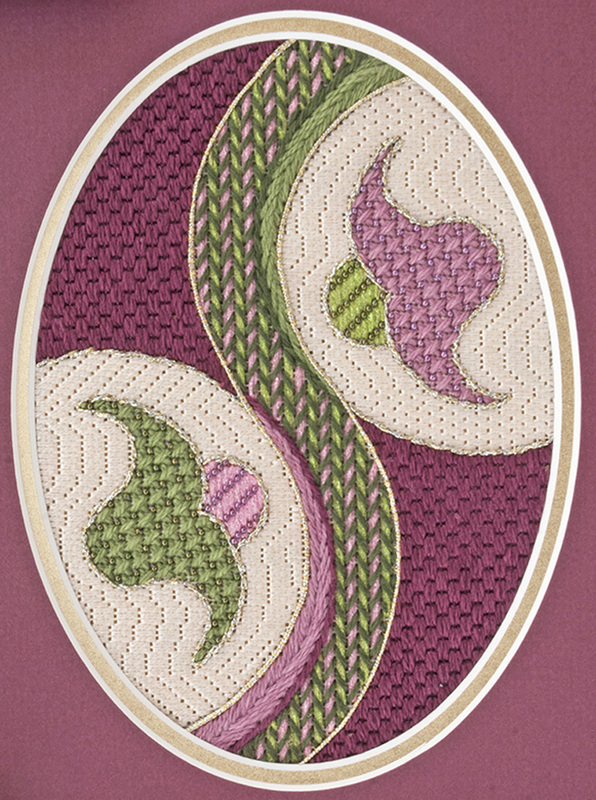 The techniques employed in this project are derived from historic textiles, and include Roumanian couching; pattern darning; free form bargello; fishbone stitch; couched braid, and beaded offset cross stitch. This piece was accepted for the 2015 ANG Chapter Project Book.